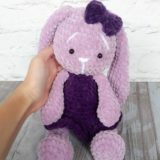 Free amigurumi pattern to crochet a bed toy for your baby. 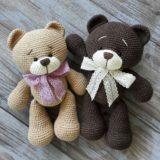 This plush bear will bring sweet dreams and the child will feel safe and peaceful. 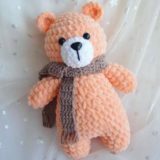 The height of finished teddy bear is 19 cm without hat. Dec to the end to close the hole. Fold top of arm flat and 9 sc through both sides across. 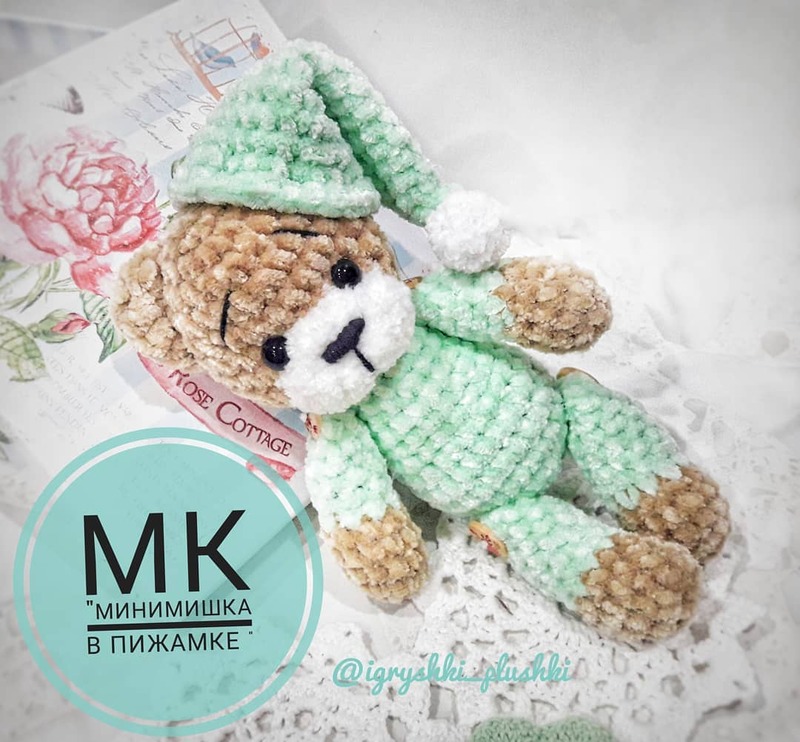 Embroider a nose and brows with black yarn. How come I can not copy and paste this web page please. 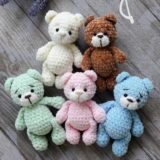 Hi, first I would like to say thank you for sharing these cute patterns ! 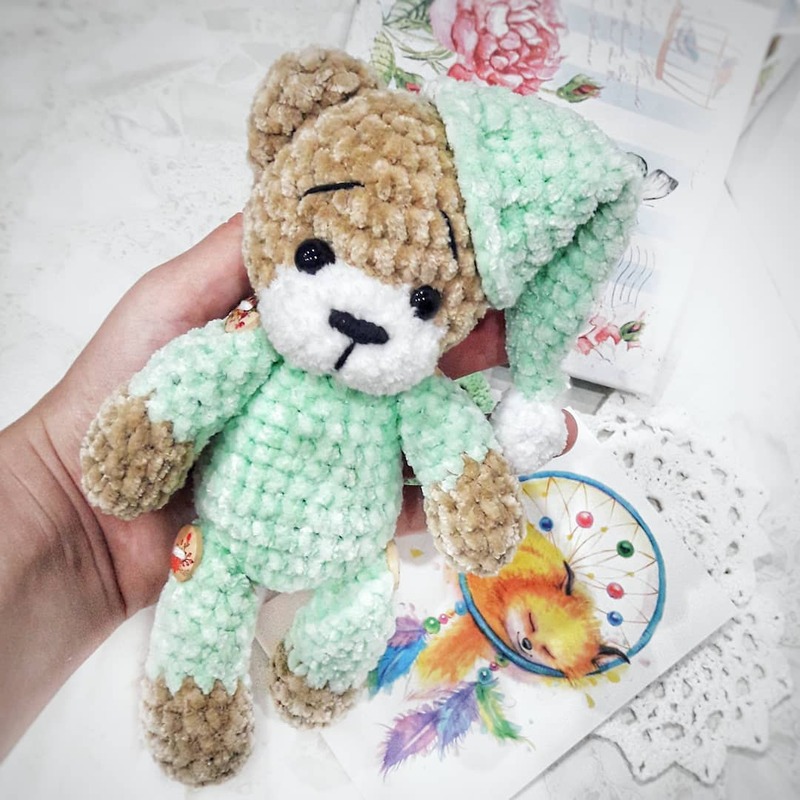 The pattern I’m doing is Crochet teddy bear in pajamas . I am working on the legs and I’m having a problem understanding row one . Linda, for leg make 4 ch. Make an oval starting from the 2nd ch from hook, work on both sides of the chain. R 1: from the 2nd ch from hook: inc in 2nd ch, 1 sc in next st, 3 sc in last st, turn, in the opposite side: 1 sc in next st, 1 sc in next st (8).